Ascending Butterfly: Wednesday, January 20, 2010 - Today's Words of Inspiration, a review and great giveaways! Wednesday, January 20, 2010 - Today's Words of Inspiration, a review and great giveaways! When you were little was there someone that looked like you on T.V.? Was there a face or a family that you could relate to? Disney describes the main character, Princess Tiana, (voiced by the amazing Anika Noni Rose) as having a cool quirk: 'Can hold down three jobs and still have time to dream.' - Now that my friends is a 'Princess' of TODAY. This is not the same Princess waiting along for some 'Prince Charming' (no pun intended, no really) to come along and make her life complete! This is what I want my niece and all young girls to understand, that you can work hard to achieve your dreams and still enjoy the adventures that life presents to you along the way! Tiana, is Disney's first African American Princess, and I'm just letting the folks at Disney know that it's time to represent and get us a Latina Princess soon! (I'm inserting a snap my fingers gesture here since you can't see me!) 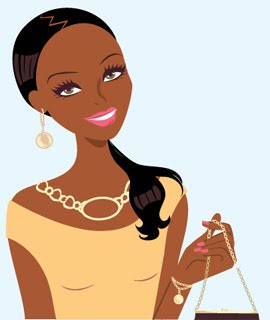 The Chicago Sun-Times reports that Tiana merchandise is outselling other Disney princesses by double-digit percentages! That's right moms, keep Tiana's numbers high! Young girls need to be able to see themselves reflected back to them in positive images! Tiana is the PRINCESS, she is not the side-kick doll and she is no one's roller-skating buddy, she is the star of the show, she is can-do; she is the Princess that should be in the hands of our daughters, nieces etc. We have spent time here discussing how we should be careful and selective with what we watch, and what we hear and how those influences affect us, let's be sure we do the same for our children. Shortly after taking my niece to see the film (hoping the nice folks at Disney will add Ascending Butterfly to it's screenings list! ), I was offered an amazingly timed opportunity! The BlogRollers Media team offered me the chance to sample Carol's Daughter's new line of products for children, The Magical Beauty Collection! 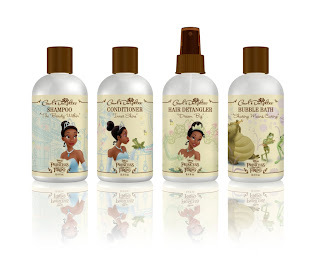 Beloved for its genuinely natural products, Carol’s Daughter was a natural choice for creating a Princess Tiana-themed hair and body collection. Gentle enough for children and appealing to parents, the fanciful product line delivers the benefits of natural ingredients such as aloe leaf juice, sunflower seed oil, cranberry fruit extract and lemon peel (Notice it's all ingredients you can pronounce!). The Magical Beauty Collection captures Princess Tiana’s unique experience in one universal collection, making every aspiring princess feel like Tiana at bath time. Each product features an inspirational message reflecting the values and lessons that Tiana learns during her journey, making the Magical Beauty Collection a way for girls to connect with Disney’s newest princess. Shampoo "The Beauty Within" - 8 fl. oz. Conditioner "Inner Shine" - 8 fl. oz. Bubble Bath "Sharing Means Caring" - 8 fl. oz. I can officially say that Carol's Daughter's The Magical Beauty Collection, is niece tested, and blogger/Auntie approved! And remember, the products are Pediatrician-tested and Paraben-free! In the early 1990’s, Brooklyn native Lisa Price (a.k.a. Carol’s daughter) began experimenting with fragrance, essential oils and natural moisturizers to make gifts for her family and friends. Soon after she packaged her home-spun creations, word spread like wildfire and the demand for her unparalleled hair and body care products led to a highly successful mail-order and web-based business. Within a few years, Carol's Daughter counted celebrities like Jada Pinkett Smith, Mary J. Blige, Erykah Badu, Brad Pitt and Chaka Khan as loyal fans, or as she refers to them, "friends of the family." Nature, family and love are words that resonate for Carol’s Daughter and as business expands, Lisa makes sure that detailed care and attention is given to each product. It is truly an inspired partnership! Lisa Price has proven that pursuing your passions and combining it with hard work truly reaps dividends! ENDING SOON ALERT: Remember readers our BedLounger giveaway (ARV $127) ends TONIGHT at 11:59 EST. Be sure to get in your entries NOW, before it's too late! This is not a paid insertion, all opinions expressed are my own, and I did NOT receive any compensation for this review. I love your blog! I found you on MBC friends following friends group. I just followed you with GFC! Princess Tiana 'Can hold down three jobs and still have time to dream.' - Now that my friends is a 'Princess' of TODAY. This is not the same Princess waiting along for some 'Prince Charming' to come along and make her life complete! OH I LOVE THIS!!!! I THINK THIS IS WHAT WE SHOULD TEACH OUT DAUGHTERS! !